Daryaganj (literally "River Trading Post/Warehouse") is a neighbourhood of Delhi inside the walled city of Shahjahanabad (Old Delhi). The "darya" (lit. "River") refers to the river Yamuna which was just outside the walled city. Daryaganj is one of the three subdivisions of Central Delhi District, it started at Delhi Gate, at the edge of Netaji Subash Road, which goes towards Red Fort. Daryaganj had the original cantonment of Delhi, after 1803, where a native regiment of Delhi garrison was stationed, which was later shifted to Ridge area. Now known as New Darya Ganj, it once formed part of the British Darya Ganj Cantonment, one of the earliest establishments of the British in Old Delhi. The New Darya Ganj market was earlier known as Faiz Bazaar until the partition, when present traders moved into the area. East of Daryaganj was Raj ghat Gate of the walled city, opening at Raj Ghat on Yamuna River. The Phool Mandi (Flower Market) of Daryaganj was established around 1869, and even today despite serving a small geographical area, it is of great importance, due to dense population. 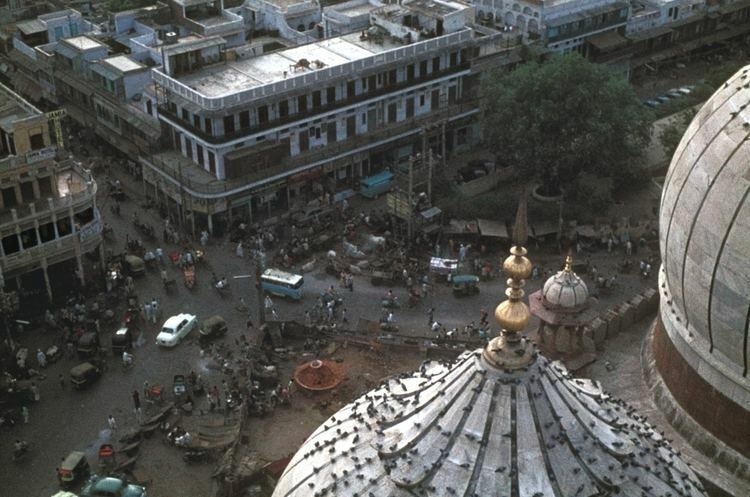 As the new capital New Delhi was being built after 1911, Daryaganj along with Paharganj were only two buffer areas between the new city, and the older city, which started being called the "walled city" by 1931, with Daryaganj sitting at the edge of the walled city near Dilli Gate. 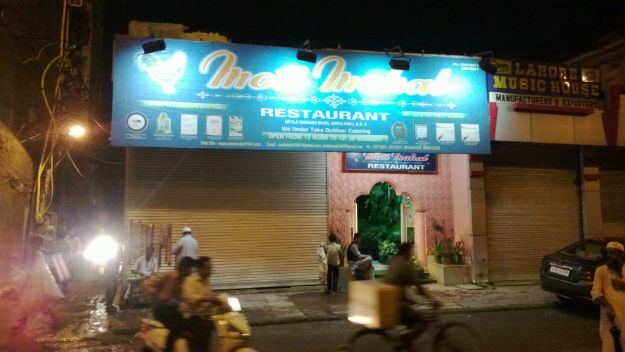 Daryaganj also has what was once the only restaurant of Old Delhi, the Moti Mahal founded by Kundan Lal Jaggi, Thakur Das Mago and Kundan Lal Gujral, most known for the invention of butter chicken and modern dal makhani. 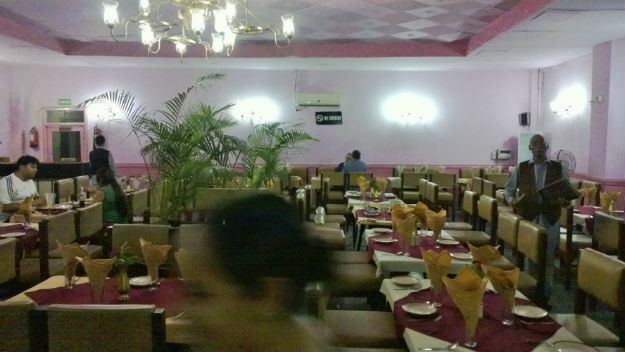 Another notable modern restaurant is Chor Bizarre near Delite cinema, which serves Kashmiri cuisine. In addition to this, Darya Ganj is known to all Delhiites for the food you can get here. From the Baniyaan of Gupta ji, to Devi ke Kulche, to Pindi ka Dahi, these are a must try for anyone going to Darya Ganj. Of course, you could also hop over to the areas around Jama Masjid, for some delicious Kababs, hether from the roadside stalls, or some of the cooking of establishments like Zalims.